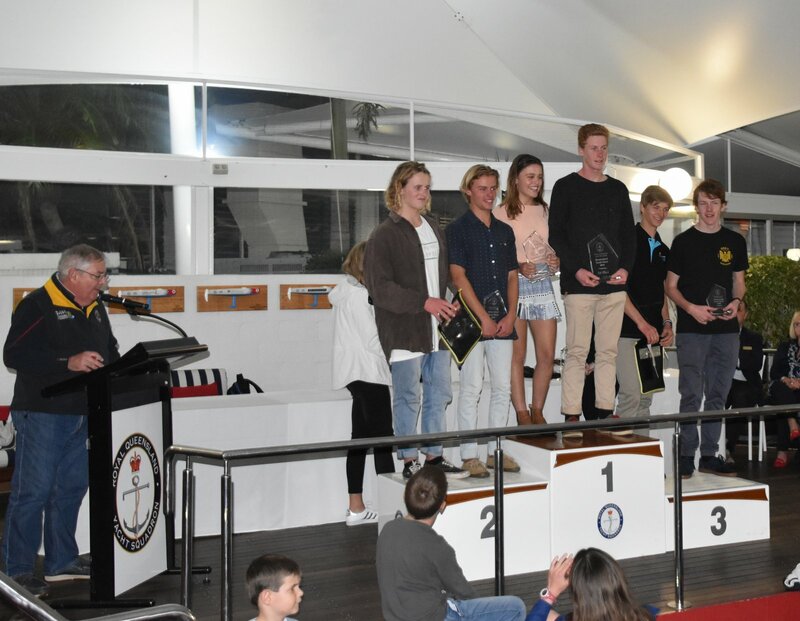 From the 1-5 July, RQYS once again hosted the annual Queensland Youth Championships. 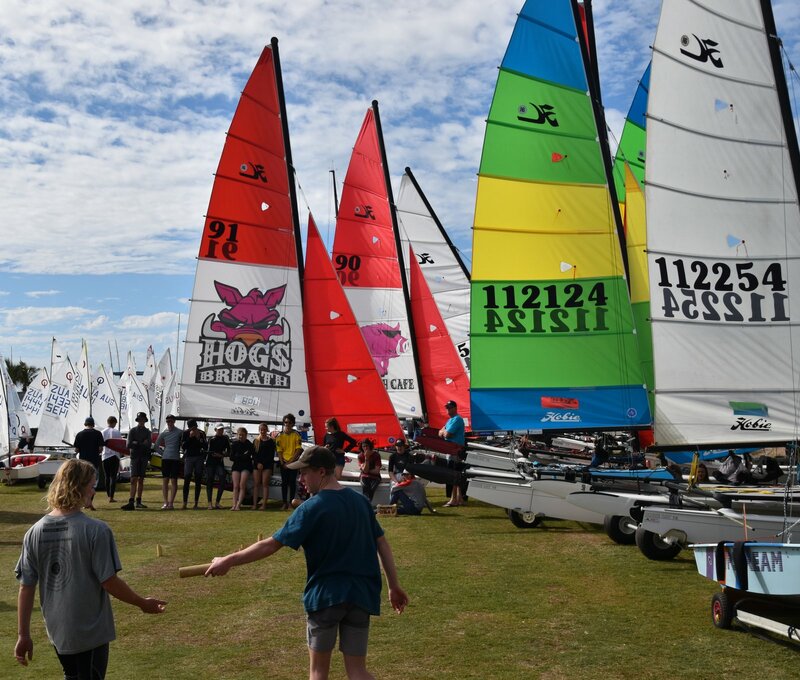 Youth Week is an event for all classes, ranging from dinghies, skiffs, sailboards and most importantly the cats. 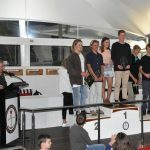 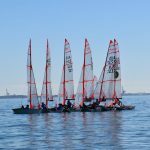 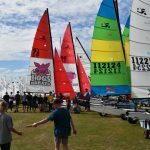 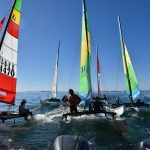 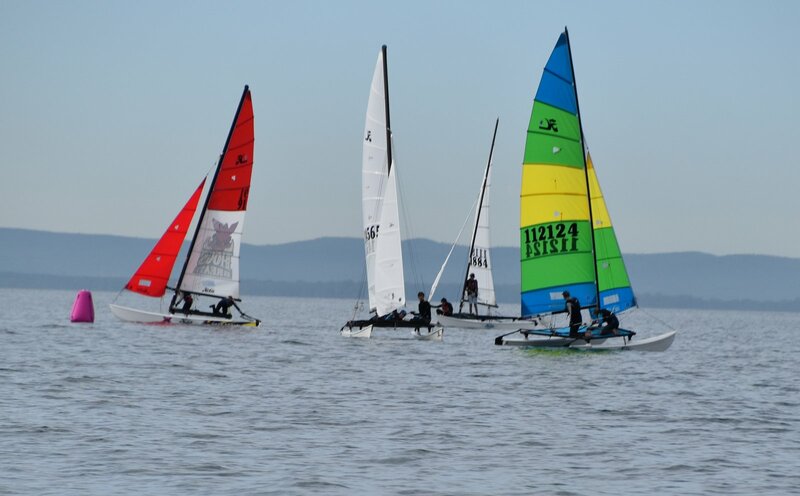 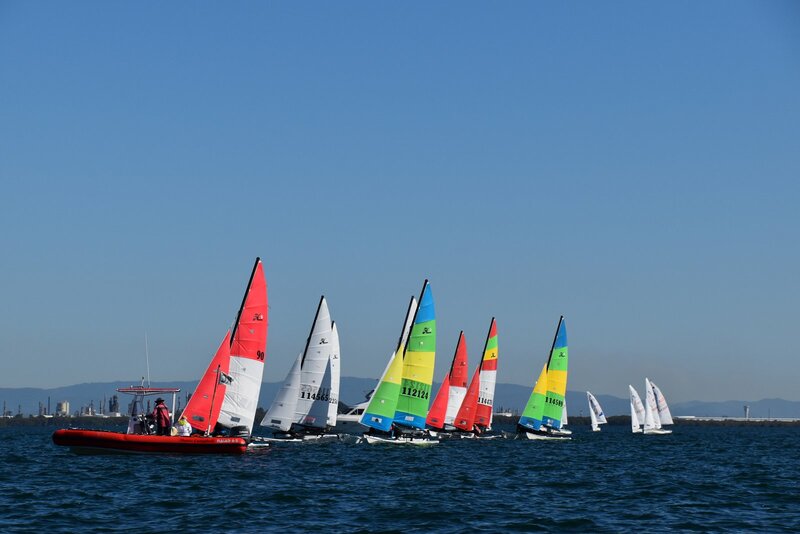 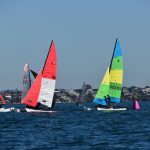 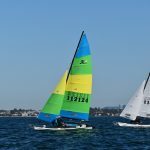 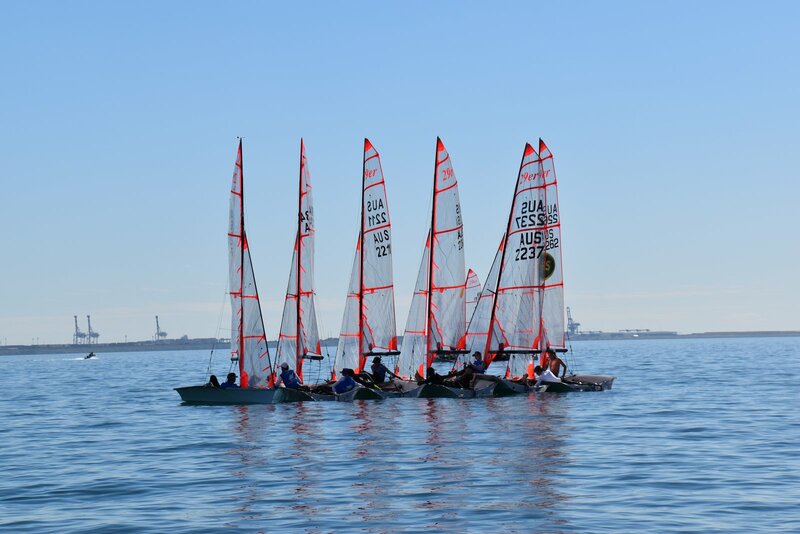 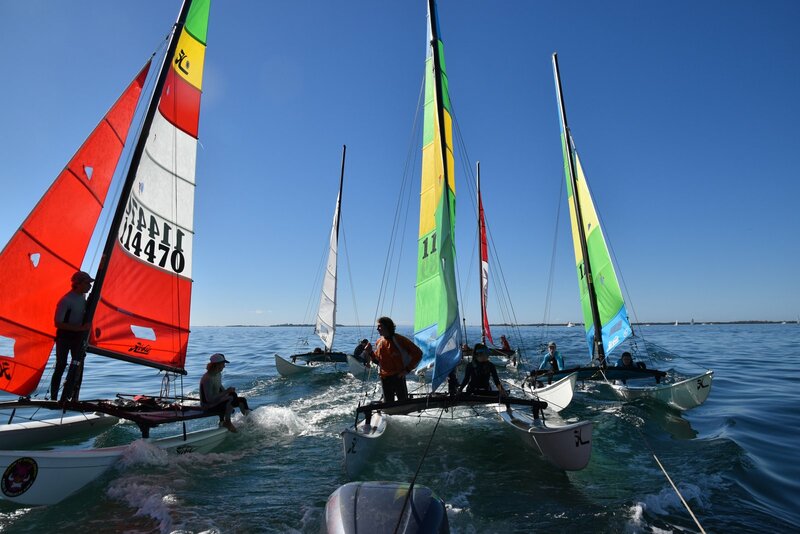 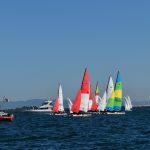 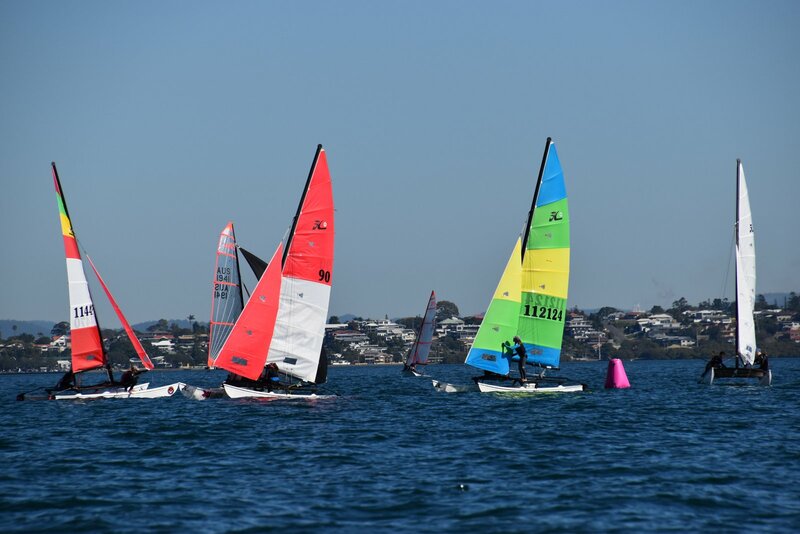 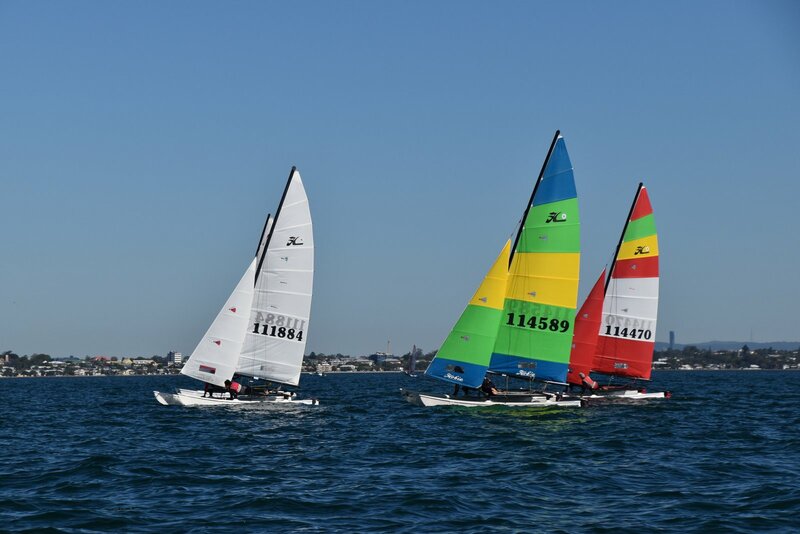 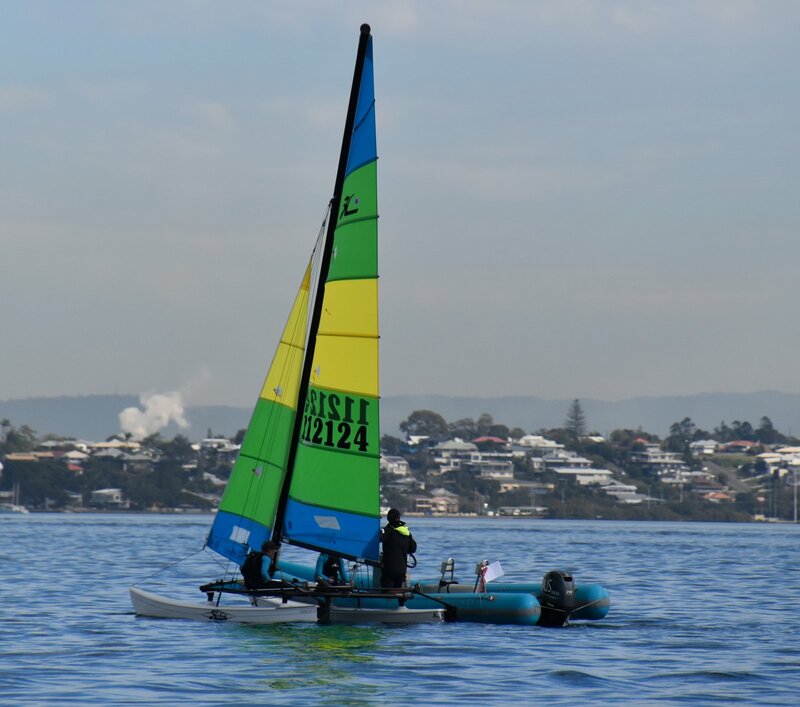 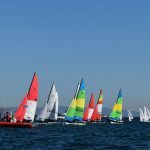 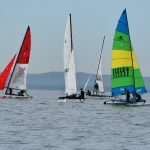 Youth Week is used as the final selection regatta for the Australia youth sailing team, and for the last time, the Hobie 16 is the cat class for the selection process. 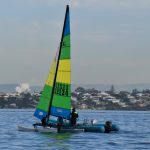 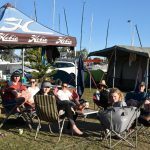 This year the Australian Hobie 16 youth fleet was stronger than ever! 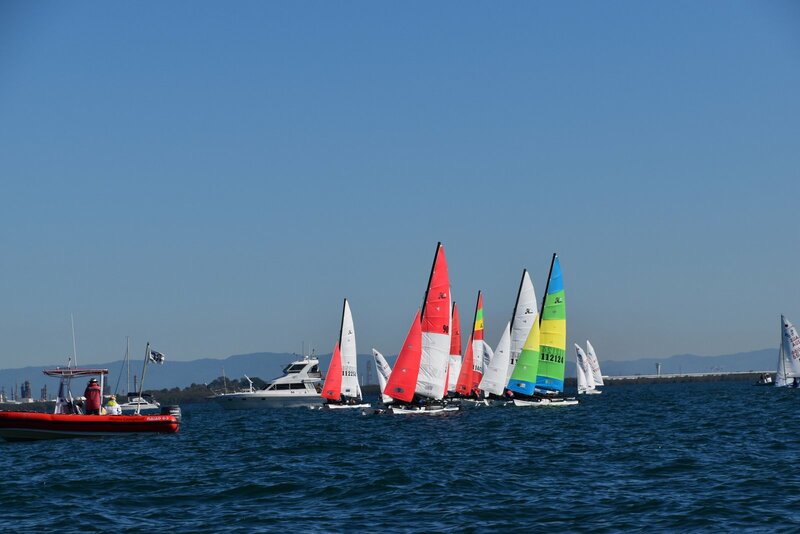 We had 8 boats on the water during the week with tight contest, each race coming down to the wire. 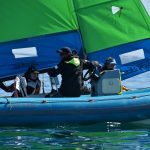 With only one race being held each day until the fourth and final day where 4 races were held in shifty conditions, all teams had moments of glory and utter despair, sometimes in the same race! 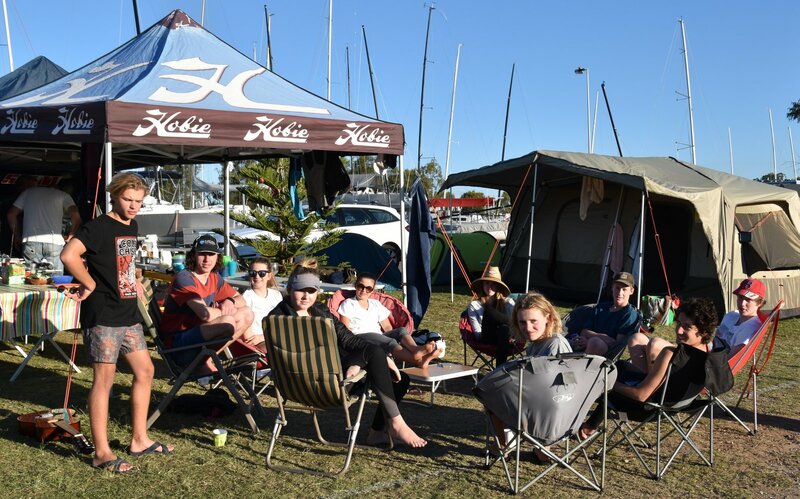 Apparently it was even more stressful on the Hobie Dads coach boat where the adrenaline was running high. 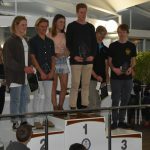 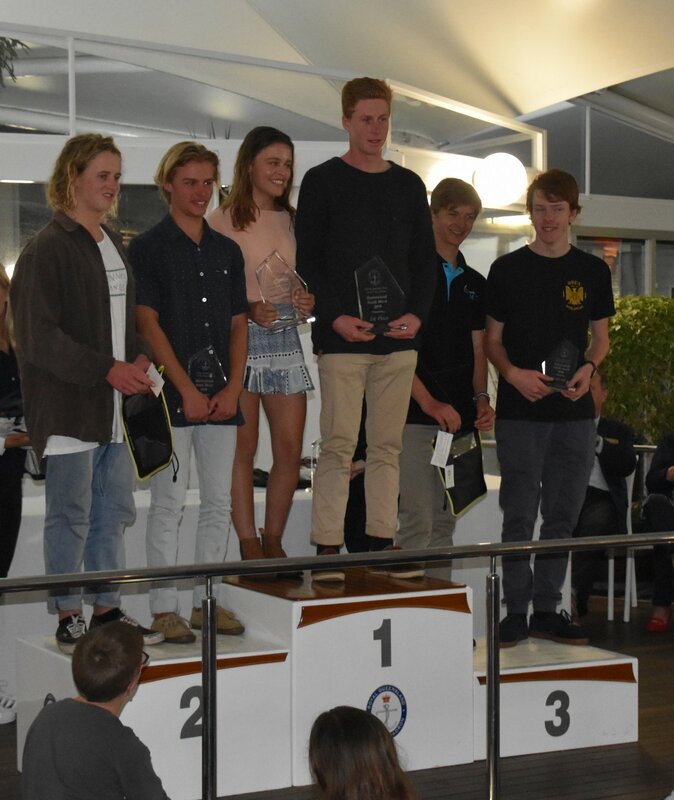 After dominating the Youth Nationals in January, Lachie White and Ethan White took third position, with Will McKenzie and Pat Butler in second closely following Kyle Fortier and Bonnie Butler who took out the event, securing their position on the Australian Youth Sailing Team. 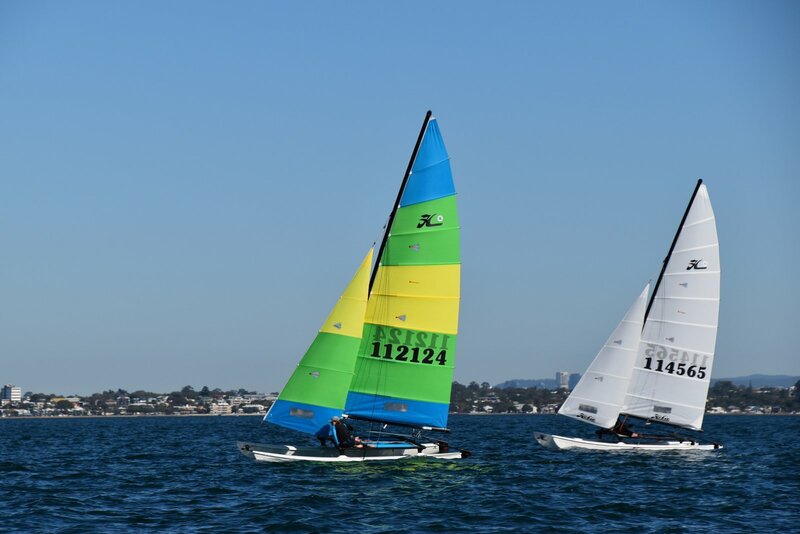 The duo will be competing in Auckland, New Zealand during mid-December at the ISAF Youth Worlds. 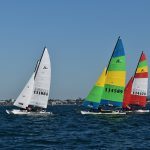 It is great to see the improvement from Haylie and Milly over the last year as they are now a force to be reckoned with, and Jed Fatches is close on their sterns. 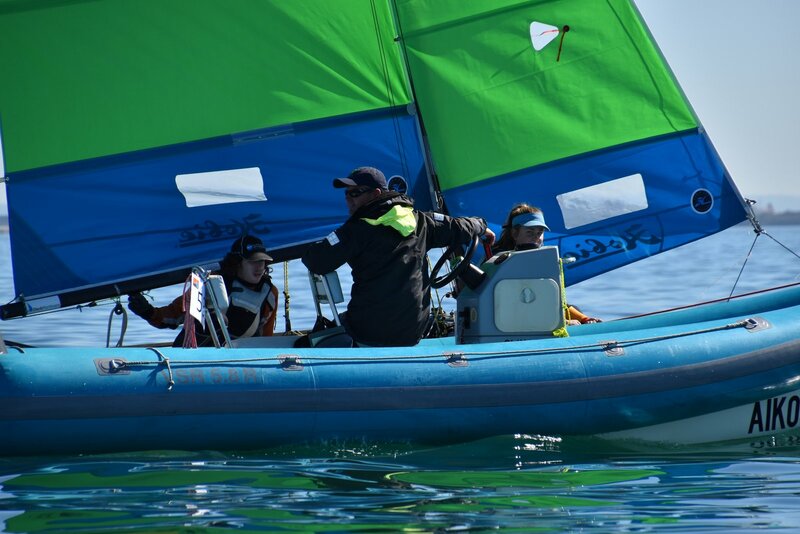 A huge congratulations to Bonnie and Kyle for their accomplishment, it was very tight competition throughout the selection series and is a well-deserved victory. 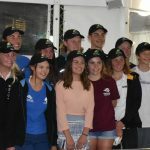 A massive thank you to all the parents for getting us there, looking after us and supporting us throughout the whole week. 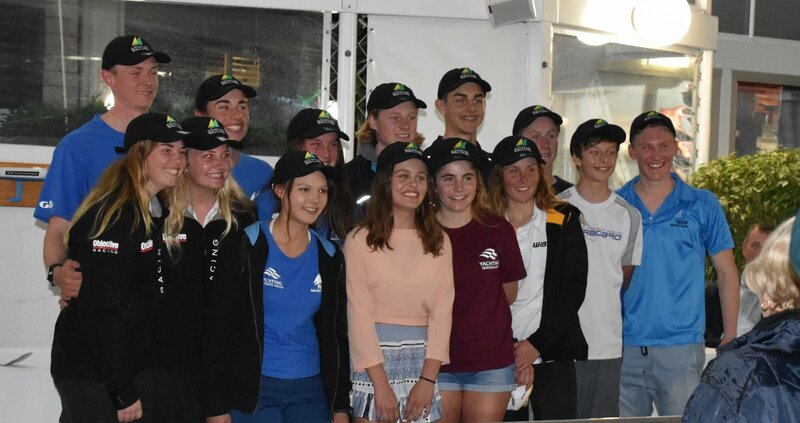 Thank you to Rob Andrews who provided the Hobie parents coach boat, Donna Fortier for the photos and Darren Bundock for his vital input to all us cat sailors as the Australian youth multihull development officer.